How to Sell Property in Japan: Is Now the Time to Sell? A brand new series of seminars for resident foreigners who currently own property in Japan and are thinking about selling. Doors open at 6:45PM. The seminar will be held from 7PM to 8PM. LINC Inc., Real Estate Japan Inc.
Real Estate Japan Inc. and LINC Inc. are pleased to present this brand new series of seminars for resident foreigners in Japan who currently own property and are thinking about selling. In this seminar, we will be presenting objective, practical information about the market, selling process, and more, in a clear and transparent way so you can decide for yourself. LINC is able to provide highly personalized consultations based on your unique situation. For a free private consultation, please indicate in the form below a few dates and times when you would be available for a meeting following the seminar. Real Estate Japan Inc. staff will be providing English-Japanese interpretation for speakers and attendees. The seminar will be held in the meeting rooms at Real Estate Japan Inc., which shares offices with GPlus Media Inc. We are located on the 4th floor of the IS Building in Higashi Azabu. 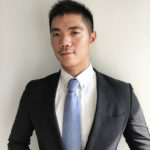 This seminar is brought to you by Real Estate Japan Inc. and LINC Inc.
Yasuhiro has been with Real Estate Japan Inc. for six years, the last four as General Manager. 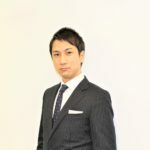 He studied and worked in the U.S. for over ten years before returning to Japan to work in the Japanese real estate industry. He is passionate about improving transparency and access to the Japanese real estate market for Japanese and foreigners alike. After years of managerial experience at one of the world's leading homebuilders in Japan, he received an MBA while working overseas. He specializes in providing consultation services in the real estate industry by partnering with professionals such lawyers, accountants, architects, and designers, etc. to find optimal solutions for clients. Ten years of brokerage experience for both residential and investment properties at a leading real estate company in Japan. More than 1,000 people have attended his seminars in Japan, Hong Kong, and Taiwan. 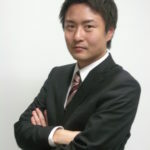 Host Real Estate Japan Inc.